KIEV, October 11. /TASS/. 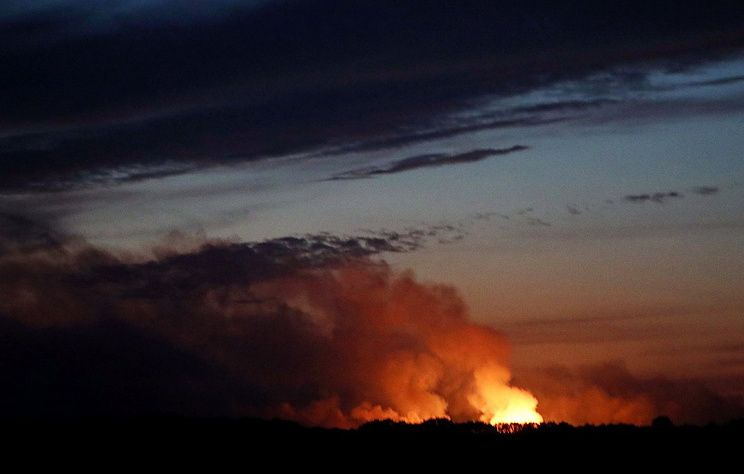 Pyrotechnical specialists began clearing the 16-km zone around an ammo depot in northern Ukraine’s Chernigov Region, where a fire broke out earlier this week, resulting in a series of explosions, the Ukrainian State Emergency Service said on Thursday. "This was a response to 91 cases when the citizens found suspicious items, and 432 munitions have been seized," the statement said. The effort was conducted in the settlements of Ichnya, Druzhba, Avgustovka and Gmyryanka. Nearly 1,000 people and 212 pieces of equipment were involved in the rescue and other emergency works at the site. According to the rescuers, the intensity of the munitions explosions has been significantly reduced. The rescuers continue extinguishing the remaining hotbeds on the depot’s territory. In particular, An-32P aircraft have dropped water 21 times since the beginning of the effort. 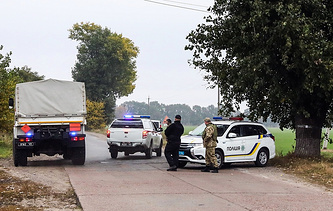 Early on October 9, explosions were reported at an ammunition depot in Ukraine's Chernigov Region, followed by a fire. According to the local administration, 63 people have sought medical assistance due to intoxication by combustion. A criminal case has been opened into negligence during military service, which triggered grave consequences. Kiev considers a sabotage act as a key possible cause of the explosion.